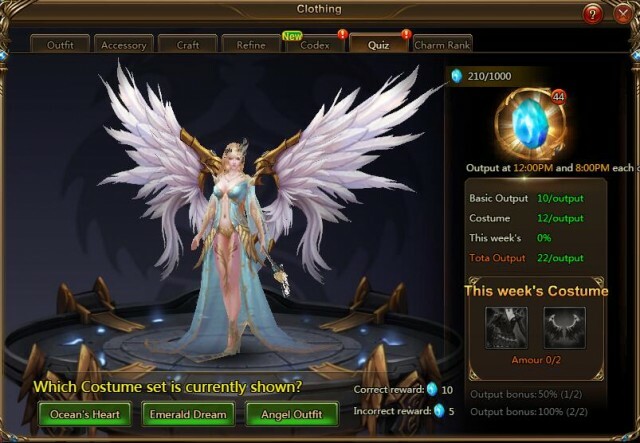 League of Angels II’s Clothing system offers many exquisite costumes that allow players to customize the appearance of their characters while gaining new power. 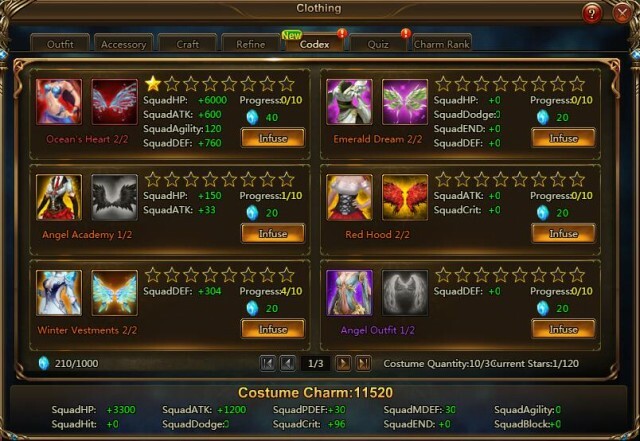 The new update introduces Costume Codex to let players get even more from their costumes. Now even costumes you are not using will continue to benefit your squad! Activate Costume Codex and each costume you owned will increase the Battle Rating for your entire squad! The Costume Codex can be found in the Clothing system and is available to players level 70 and above. Players can activate the Codex of any Costume they own to increase attributes for their whole squad. After collecting 1 Costume set, the Costume will get double attributes from upgrades. Once activated, players can infuse Codex with Costume Essence to raise attributes even further. Costume Essence is generated by the Costume Codex system. The number of Costumes you own including time-limited Costumes affects the amount of Essence output. You can claim Costume Essence every day at 12:00PM and 8:00PM by answering the Costume Quiz question. Additionally, a random Costume will be highlighted each week, and players that own that Costume will receive a percentage bonus to their Essence output. The top 30 players with the highest Costume Charm score will show up in Costume Charm Rank. Charm score is calculated based on the attributes added by Costume Codex. 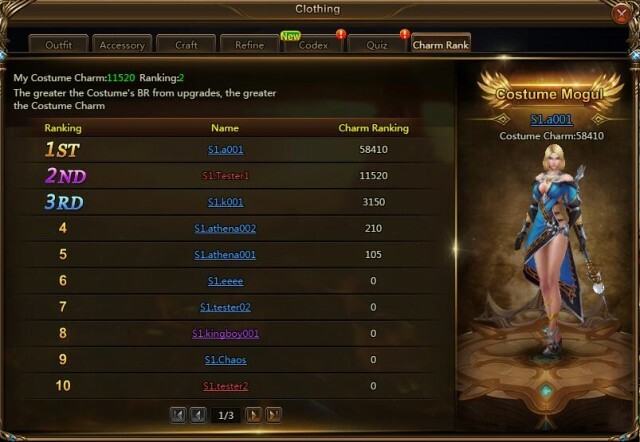 The player with the highest charm score will be honored with the special Costume Mogul title. Activate your Costume Codex and improve your Charm Score now!